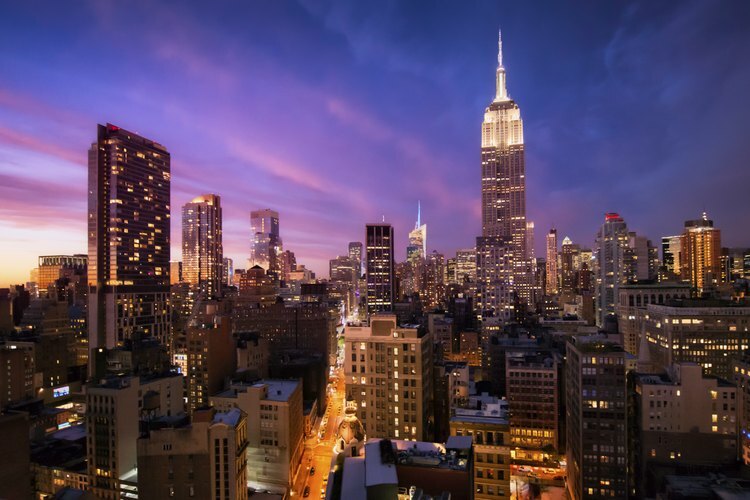 New York City is affectionately referred to as "the city that never sleeps." This reputation is well earned as the city remains a vibrant hotspot of activity long after sundown. In fact, nighttime city goers often enjoy some of the most memorable sights and most enjoyable activities that New York City has to offer. For decades, adventurous New Yorkers looking to feel a late night adrenaline rush often headed to Luna Park at Coney Island, but as time went on, the famous Coney Island amusement park was closed down. However, a new park has been built in its place to pay homage to the original. In addition to the rides and the late night views of the city, the amusement park is a great way to get in a some safe late night exercise as you walk around taking in the many sites. A popular and healthy nighttime activity in New York is bridge walking. New York has some of the most beautiful bridges in the United States, and many of them provide excellent views of the city skyline. The bridges between Manhattan and the outer boroughs see thousands of pedestrians each day. By far, the most famous of these bridges is the Brooklyn Bridge. This bridge is lit up at night to show off its Gothic architecture. It takes about 30 minutes to walk across the bridge into Brooklyn and another 30 minutes to get back. Bike lanes are also available for those who enjoy nighttime cycling. Wintertime visitors to the city often wait for the sunset to venture out to the cities many ice skating parks. At night many of these parks have spectacular light displays and the environment is perfect for a romantic nighttime date. Popular rinks include Central Park's Wollman Rink and the Laser Rink on the upper East side. Not to be missed is the famous Rockefeller Center skating rink near the heart of Manhattan. The rink at Rockefeller is spectacularly decorated throughout the Holiday months. Most ice skating rinks in the city also rent ice skates, so ice skating is also a perfect spontaneous activity and a great way to get some late night exercise. Many people think of the beach as a daytime activity. However, in the city that never sleeps, the beaches are also enjoyable at night. Head over to Long Island and find a quiet spot to relax and enjoy the surf while taking in the city lights. For a bit more seclusion, Long Beach is just a short drive to the southwest of Manhattan and offers a considerable amount more privacy. While other less adventurous tourists are sleeping, New York City beaches offer a perfect opportunity to take a challenging nighttime run in the sand while basking in the city lights. If you are in the city at the right time, you can enjoy one of its true hidden nighttime treasures, the Prospect Park Moonlight Ride. Every second Saturday of the month, the Times Up Riders Association hosts a late night bicycling and in-line skating tour of Prospect Park in Brooklyn. This guided tours passes under the many viaducts, and on pass the ponds, and waterfalls in the park and ends at 11 p.m. The pace is slow and is geared toward a more romantic feel than a race to the finish.